New Zealand is desperate for skilled workers, making it a good match for Brits seeking employment in our beautiful country. Our shared history and language – not to mention love of cricket and rugby – make integration less daunting, even through we have our own distinct culture. Our low crime rate, excellent education system and healthy lifestyle makes New Zealand an especially attractive place to work and play. Here’s a guide to help you immigrate to New Zealand from the UK. You can visit New Zealand for up to six months without a visa, but to stay beyond that you will need to do some extra paperwork. There are several different visas for people who are coming to New Zealand to work, including an essential skills visa and a working holiday visa if you are under 30 years of age. But Woburn can help you through all of this. Currently New Zealand has a shortage in the trade sector and is in desperate need of construction and infrastructure in the main centres. Check out our page on UK tradespersons for more details. But don’t forget that the regions of NZ need you too! Recently, the government has also been looking at shifting its departments to the regions. Our new government’s emphasis is placed on development and regional opportunities. The largest city, Auckland is the most expensive city in New Zealand. But it is much cheaper to live in than London, for example. The local currency is the New Zealand dollar. On 26th October 2017, the NZ$1 was worth 52p and £1 would buy NZ$1.93. Also, when you come to retire in New Zealand, you can draw a UK state pension. New Zealand’s healthcare system is similar to the NHS, in that it is funded through taxes. Although it is not free, it is subsidised by the government and care is of a high standard. Though there can be waiting times for non-emergency procedures. In New Zealand you are entitled to a generally free education within the state system, though private schooling also exists for those who want it. Schools are rated on a decile number system which measures the socio-economic position of a school’s student community relative to other schools throughout the country. Decile one is the lowest rating available and therefore those schools get the most government funding. You can look up your area on Wikipedia, to see a list. Here is Otago as an example. Our social hierarchy is a lot more relaxed in New Zealand and so teacher to student relationships are more of a mentorship style. We don’t call anyone ‘Sir’ or ‘Madam’ unless we’re being cheeky. New Zealand claims to have the highest number of bookshops and Scottish pipe bands per head in the world. When you’re invited to a gettogether, you may be asked to “bring a plate.” Don’t bring an empty plate or you’ll be laughed at! You’re meant to put food on it for sharing. Frying Pan Lake near Rotorua is the world’s largest hot water spring: temperatures reach 200C at its deepest point. Like in the UK, New Zealanders drive on the left-hand side of the road. You’re never more than 128km from the sea anywhere in New Zealand. Dunedin is the sister city of Edinburgh and its streets were originally mapped to reflect Edinburgh at the time (this has led to the steepest street in the world, Baldwin Street). You’ll also find a statue of Robbie Burns in the city centre. The number of British expats in New Zealand is upwards of 313,850. 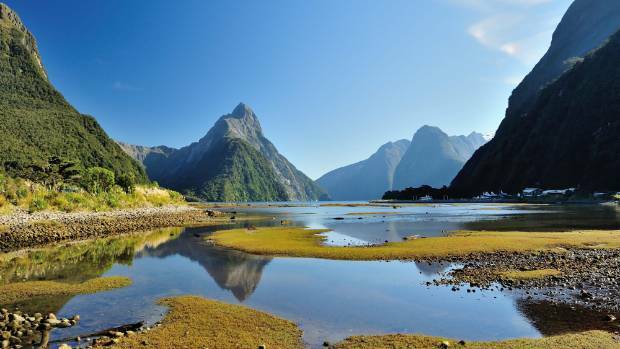 Are you thinking about emigrating to New Zealand? Complete our free online assessment form today and we’ll let you know how easy it could be for you to make NZ your new home.